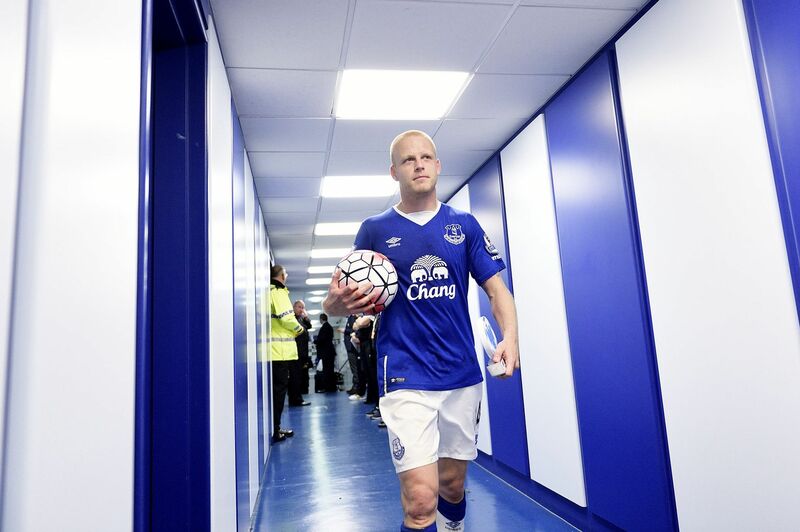 One: Naismith shows his worth. With the transfer deadline clock ticking towards a conclusion, Everton received a last minute offer from Norwich City for Steven Naismith of approximately £7 million. That certainly appeared good value for a player who has failed to establish himself in the first team during the last 6 months, especially considering that the Blues picked up the Scot on a free transfer after his contract with Rangers was deemed null and void. Although he is not prolific, Naismith has a fairly unique knack of scoring vitally important goals and he delivered yet again on Saturday. This is even more remarkable when you consider that the former Kilmarnock man has large sections of the Everton support against him. This was true on Saturday, with a smattering of groans (certainly around me in the Park End) at Martinez’ decision to introduce Naismith in place of the injured Besic. The Scot in his customary way took to the field and set about proving those doubters wrong. He did this with class and style, scoring three times to leave Chelsea reeling and set the Blues up for a well deserved three points. Two: Lack of a number 10 gives Barkley chance to shine. Everton and Roberto Martinez were clearly in the hunt this summer for a creative player to operate in the number 10 position just off the main striker. Ultimately this pursuit proved fruitless but maybe that is the outcome that Ross Barkley’s career needed. The Wavertree born player has started the season in fantastic form, yet the arrival of Yarmolenko could have consigned Barkley back to a bit part role. I have suggested on a number of occasions that Barkley will ultimately end up in a more conventional midfield role, but with Barry and McCarthy the managers preferred combination in the centre of Everton’s midfield it is in the number 10 role where Barkley is excelling. On Saturday Ross took another huge stride towards fulfilling his vast potential. Against the Champions, Barkley stamped his authority on the game. He sought out possession all over the pitch and whether he ran with the ball or looked to bring in a teammate he looked after the football ensuring that he off loaded to a blue shirt. 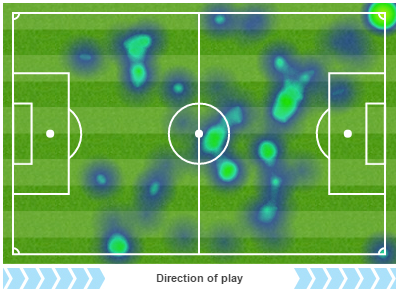 Although he didn’t score he was heavily involved in two of Everton’s three strikes. His second assist was superb, exchanging passes with Aaron Lennon before committing the Chelsea defence and passing a perfectly weighted through-ball into the pass of Naismith who brilliantly fired home. Three: The School of science is on its way back. We all know how the song goes, but at times during the last 12 months Everton’s football was not of the highest scientific order. The Blues certainly atoned on Saturday. The mix of short and long passing was perfect but more important was the speed and tempo in which Everton moved the ball, at time the Toffees were a delight on the eye. Everton’s first goal featured a total of 19 passes as Everton moved the ball from their own penalty area to the opposite end where a Galloway cross was headed home by Naismith. The football for the next five minutes was electric with Everton untouchable as first Kone and then McCarthy were denied by brilliant Begovic saves before Naismith fired Everton two nil ahead. Perhaps the best football was saved for the last goal. Stones, Lennon and Barkley teamed up superbly to open up the Chelsea left before Barkley set up Naismith to seal the match. It was scientific football and clinched a win Everton’s play deserved. Four: Stones is already England’s best defender. It has certainly become fashionable to highlight John Stones’ vast potential, with a typical statement proclaiming the former Barnsley man to be the best English defender since Rio Ferdinand. We at Everton have known for a while that Stones is the best defender to come out of these shores for quite sometime. In fact I would now go as far as to say the England international is already the best English defender in the Premier League. It is simply bewildering that Roy Hodgson continues to think that the error prone Chris Smalling is better that Stones. A brilliant defender, Stones makes the game look effortless. His marshalling of Diego Costa on Saturday was exemplary and yet despite having the eyes of an entire nation on him, Stones remained calm, serene and composed as he ensured Everton played out from the back and prevented Chelsea from building pressure on Everton’s rearguard. I have watched top flight football at Goodison since 1983 and I haven’t seen a more complete defender, for or against Everton, in all that time. Five: Goodison atmosphere inspires Blues. Goodison was at its very best on Saturday, a ferocious bear pit that swallowed up and spat out Chelsea in unsympathetic fashion. On afternoons like this, Goodison is one of the most difficult grounds for opposition teams. Unfortunately over the last few years the atmosphere inside Goodison has very rarely lived up to this standard and away teams have used this to their advantage. If Everton are to once again mount a serious challenge for a top four place then they will need us Evertonians to produce an equally passionate atmosphere when the likes of Norwich and Bournemouth are in town.